Dear EarthTalk: I understand that many of the world's fisheries are on the brink of collapse, "fished out," to put it bluntly. How did this happen and what is being done about it? Many of the world's fisheries are indeed in crisis today due to years of overfishing, pollution and habitat destruction. 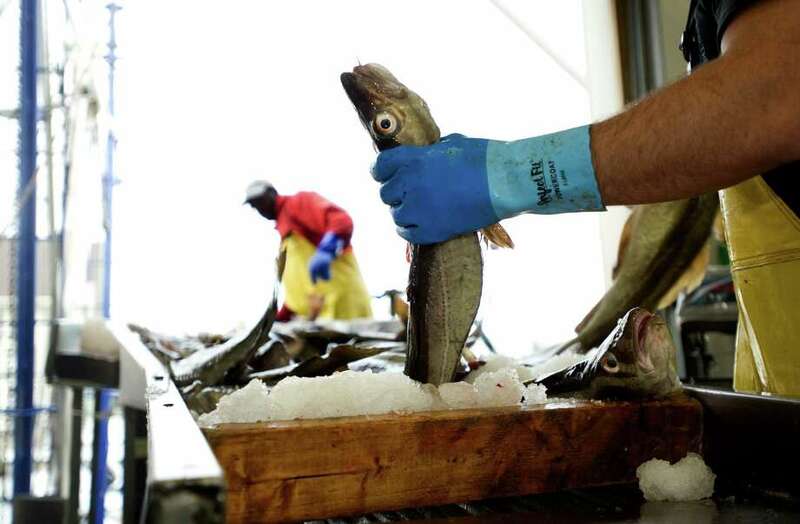 According to the United Nations' Food and Agriculture Organization, 57 percent of global fish populations are "fully exploited" and another 30 percent are "overexploited or collapsed." This leaves just 13 percent in the "non-fully-exploited" category, down from 40 percent less than four decades ago. The nonprofit group Natural Resources Defense Council reports that many of the most popular fish, such as cod, snapper and tuna, are dangerously depleted yet continue to be overfished. Fishing operations have only been able to satisfy rising demand for fish and shellfish in recent decades by using increasingly high-tech strategies like on-vessel refrigeration and processing, spotter planes and GPS satellites. Furthermore, says Matthew Roney of the non-profit Earth Policy Institute, "Industrial fishing fleets initially targeted the northern hemisphere's coastal fish stocks, but then as stocks were depleted, they expanded progressively southward on average close to one degree of latitude annually since 1950." "The escalating pursuit of fish ... has had heavy ecological consequences, including the alteration of marine food webs via a massive reduction in the populations of larger, longer-lived predatory fish such as tunas, cods and marlins," Roney reports. In addition, he says, sophisticated fishing techniques aimed at maximizing catches, such as longlines and bottom-scraping trawls, kill large numbers of non-target species such as sea turtles, sharks and coral. Roney is optimistic despite the trends. "In several well-studied regional systems, multiple fisheries have bounced back from collapse after adopting a combination of management measures," he says. "These include restricting gear types, lowering the total allowable catch, dividing shares of the catch among fishers, and designating marine protected." He cites an example of Kenyan communities removing beach seine nets and creating "no-take" zones leading to an increase in total fish, fish sizes and fishing income. And no-take reserves established around parts of Australia's Great Barrier Reef led to a doubling of fish stocks and size within the boundaries of protected areas and larger populations throughout the region. "It's not too late to get our fishing practices back on track," reports NRDC. "Using smart laws, policies, incentives, and market demand, we can help sustain fish populations at healthy levels for years to come." The decisions of policymakers play the key role in marine protection, but individual choices and consumer advocacy also make a difference. "We can all support sustainable fishing by wisely choosing which fish to eat, spreading the word to friends and family, and contacting our lawmakers to make sure they support responsible policies," says NRDC. Consumers can learn which fish are OK to buy by consulting with the Monterey Bay Aquarium's Seafood Watch program, available for free via the web and phone apps. CONTACTS: NRDC, www.nrdc.org; Earth Policy Institute, www.earth-policy.org; Seafood Watch, www.montereybayaquarium.org/cr/seafoodwatch.aspx. EarthTalk is by Roddy Scheer and Doug Moss of E - The Environmental Magazine (www.emagazine.com). Send questions to earthtalk@emagazine.com.